Doug Burns, AIA, received his Bachelor’s from Kent State University and Master of Architecture and Urban Design and a Master of Social Work from Washington University with the goal of using architecture to help people. He moved to Charlotte in 1974 and immediately attended the Charlotte Chamber of Commerce Leadership; completing the program determined to give back to his community. Since that pivotal moment, Doug has provided leadership to boards for nearly 40 years. He has served on the Charlotte Board of Zoning Adjustment (Charlotte Board of Appeals), Charlotte Mecklenburg Planning Commission, Charlotte Historic District Commission, as well as serving twice on the Mayor’s Center City Planning Committee. Doug has been on the Tega Cay Planning Commission and received the Volunteer Citizens Award from the City of Tega Cay. His past civic architecture influence can also be found in community revitalization and historic preservation efforts in Dilworth, Plaza Midwood, Uptown Charlotte and North Charlotte. As an architect, Doug has focused on education (both K-12 and Collegiate), planning and mixed-use assignments throughout his over 40 years of practicing in the Charlotte Region. Recently Doug joined the Construction Professional Network (CPN). Through CPN Doug volunteers his time and urban planning expertise as part of a rural planning initiative to help economically depressed communities throughout North Carolina. In his professional career, Doug currently is a principal in the Charlotte office of KSQ Architects where his focus is on both the higher education and K-12 markets. Doug joined the Board of Directors in 2015. Dwayne joined the Board in March of 2018. Dwayne currently serves as a Senior Audit Project Manager for BB&T, with a specific focus on credit risk exposure for various specialized lending activities, including, but not limited to direct and indirect retail installment credit, auto-financing, equipment financing and mortgage banking activities. Along with various other functions, his primary responsibilities include risk identification, risk assessment and internal control assurance surrounding operational, financial and compliance processes, along with working with business units to protect shareholder value. Prior to joining BB&T, Dwayne worked in public accounting for Dixon Hughes Goodman LLP for five years. As a Senior Auditor, Dwayne served in various capacities in providing assurance on the material accuracy and completeness of financial statements, with a specialization in small to mid-size community banks throughout the Southeastern footprint. Additionally, in his Senior Consultant role, Dwayne primarily focused on various projects related to implementations of Enterprise Resource Planning “ERP” systems, including successful implementation for one of the nation’s largest financial institutions. His efforts involved data dimension identification, general ledger mapping solutions from legacy systems to target-state environments, as well as master data maintenance support. Dwayne and his wife, Julie, live in Huntersville, NC and have a five-year old daughter, Ava. The Earls family spends most of their time reading books and playing games together, exploring the community, serving at their church, and most importantly, rooting on their beloved Tennessee Volunteers. Ed Franklin has served as Board Chair since 2012. He currently works at Bank of America as a Development Manager where he is responsible for driving diverse supplier development strategies for Global Marketing & Corporate Affairs, Global Human Resources, Corporate Real Estate, and General & Administrative categories. He partners closely with his procurement, category management, vendor management, and business unit peers to help ensure diverse vendor access to Bank of America sourcing opportunities and to maintain its seat in the Billion Dollar Roundtable. Previously, Ed served as a Senior Program Manager at Bank of America and was responsible for business continuity, enterprise data management, customer care, and real estate matters for Global Support Services. He was also co-creator of the Global Corporate Services Professional Development Experience for which he won a 2015 Global Diversity and Inclusion award. In his previous assignments at Bank of America, he worked on property and project manager teams within the Corporate Workplace group. As project manager, he provided project management oversight for retail and office construction projects in North and South Carolina and was also a Charlotte regional property director for over 2 million square feet of administrative office space, bank-owned parking facilities, and land. He was chosen as the Corporate Workplace lead for the 2012 Democratic National Convention event working closely with the DNC Convention Committee, CMPD, Secret Service, Bank of America tenants, suppliers, and other constituents. 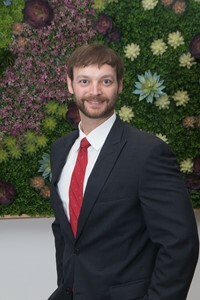 Prior to joining Bank of America, Ed was part of Jacobs Engineering, providing construction sourcing support for AMTRAK’s American Recovery and Reinvestment Act of 2009 for projects in eastern half of the US; sourcing lead for the 50-story Duke Energy Center project, administrative office portfolio, and international portfolio for Wells Fargo; and global team lead for Intel Corporation’s Facilities and Materials Services team providing construction sourcing expertise for semiconductor and assembly/test projects in the United States, Ireland, Israel, China, Costa Rica, Malaysia, and Philippines. Ed holds a MBA from the Marshall School of Business and BS in Civil Engineering from the Viterbi School of Engineering – both at the University of Southern California in Los Angeles. He is an active member of the New Generation of African-American Philanthropists of Charlotte, F3, and Mecklenburg Community Church. Ed resides in Huntersville, NC with his wife Tanya and 3 boys (who all attend Corvian). Jesh Humphrey, Vice Chair, has served on the Board of Directors since 2014. As Vice Chancellor of Institutional Integrity and General Counsel for UNC Charlotte, Jesh provides legal counsel as the university’s senior attorney and maintains responsibility for the supervision and administration of the Division of Institutional Integrity. The Division of Institutional Integrity supports UNC Charlotte, as an urban research university, in its endeavors to achieve its academic mission and strategic plan while adhering to the University’s ethical, legal, and regulatory responsibilities. The Division of Institutional Integrity consists of the Office of Legal Affairs, the Office of Ethics and Compliance, the Title IX Office, the Internal Audit Department, and Enterprise Risk Management. 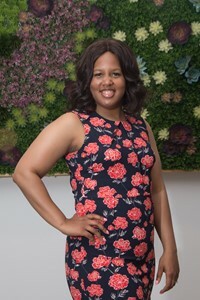 Jesh previously served as Chief Legal Officer for the North Carolina School of Science and Mathematics and as Assistant Vice President for Legal Affairs for the University of North Carolina. Before moving in-house with the UNC system, Jesh served as outside counsel to corporate and education clients in private practice with Helms, Mulliss & Wicker, PLLC (now McGuire Woods LLP). He received a B.S. in Computer Engineering from Case Western Reserve University in Cleveland, Ohio, and graduated with honors from the University of North Carolina at Chapel Hill School of Law. Jesh met and married his wife, Michelle, while they both attended law school. Michelle worked in child advocacy as a staff attorney for the Council for Children's Rights before transitioning to staying at home full-time with their two boys, Colin and Rhys, both of whom love being students at Corvian. The Humphrey family enjoys learning together, laughing together, playing games and sports together, and supporting the Charlotte 49ers together. They attend Mecklenburg Community Church. Sara McKinney joined the board in May 2018 as the elementary teacher representative. Sara has been with Corivan since 2015 as a K-4 EC teacher. Originally from Pittsburgh, PA, Sara holds a B.A. in Elementary and Special Education from Bethany College. She moved to North Carolina in 2007 to teach. When not in the classroom Sara enjoys traveling with her husband, Michael, baking and cheering for the Steelers. Scott joined the Corvian board in 2016. Scott is a partner Financial Advisor on The Lake Norman Group of Merrill Lynch located in Huntersville. By way of Detroit, MI, Scott has lived in the Charlotte area for nearly 25 years. He is fortunate to be close to family as his parents still live in Davidson and his brother and sisters have also moved back to Charlotte to pursue their careers. Scott is an alumnus of North Mecklenburg High School and graduated from North Carolina State University with a degree in Business Administration with a concentration in Finance and a minor in Economics. He returned to Charlotte after school to work for US Trust as a Financial Analysis and Monitoring Specialist. Within that role he helped underwrite custom and complex credit deals for high net worth individuals located in the northeast region of the US. 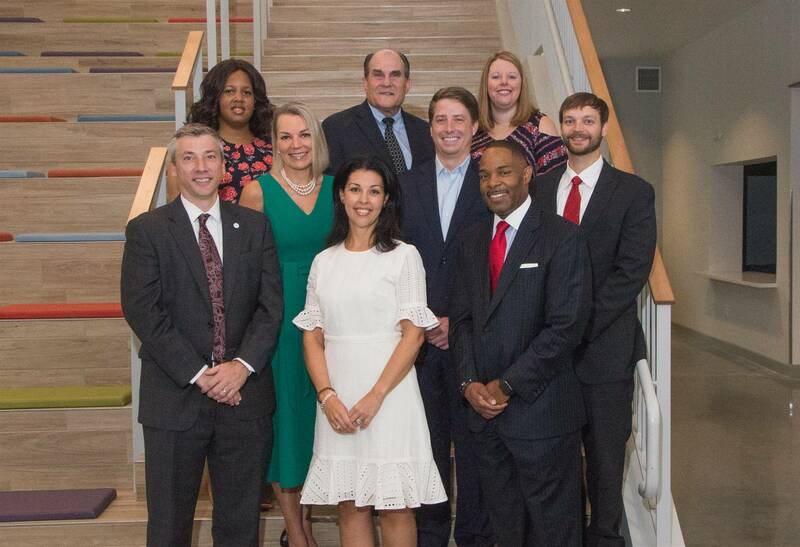 In 2013, Scott joined Merrill Lynch to bring this same high level of service and financial management to families and businesses in the Charlotte area. As a team, The Lake Norman Group of Merrill Lynch has over 30 years of financial advising experience. Scott and his team strive to help their clients achieve their financial goals such as retirement, investment, education, and legacy planning. During his free time, you will most likely find him spending it with his family, golfing, hiking, camping, and biking. He is an avid NC State Wolfpack fan and enjoys supporting various Charlotte area sports teams. Scott also participates in the F3 organization whose mission is to promote fitness and local community leadership. He currently lives in the Dilworth area and looks forward to contributing to the mission of Corvian Community School to make a positive impact on future and current students. 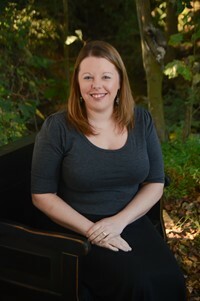 Amy Tate graduated with her Bachelor’s degree in Communication from UNC Greensboro in 2001, and she later earned her teacher certification in Secondary English Education from UNC Charlotte in 2005. She began her teaching career in 2003 at her alma mater, North Gaston High School, before moving to CMS in 2007. In CMS she taught high school English for several years. While in CMS, Amy served as department chair, a member of the English Cadre as well as an advisor for student council. In the past, she has worked with NCDPI as a test item writer and reviewer. She then had the opportunity to begin teaching at a local private school where she continued teaching 9th – 11th grade English. Amy’s belief in differentiated instruction, engagement, and individualized learning is what drew her to Corvian Community School in 2018. Amy is excited to begin a new adventure in middle school language arts. Amy lives in the University Area with her husband Willie. She enjoys cooking, traveling, working out, getting lost in a bookstore or library, Tarheel basketball. The Board of Directors meets the second Tuesday of every month at 7:00 pm at 4125 Johnston Oehler Road, Charlotte, NC 28269.